Here are some tips for you to go by if you wish, but this is what works for me, so it may or may not work for you because everybody's bodies are different but at anyrate, this is what I do. Before I eat I take CLA 1000Mg and I take 4-6 total a day and I eat 1-3 times a day. CLA helps break down the foods that you eat. Before I work out I take 4 Leanfire Inferno, the maximum does for the day. I only use this before my worksouts not before I eat. CLA does a better job of breaking down your food. I lift 3 days a week and I do Cardio 6 days a week. >30 minutes in the steam room. (which is equal to a 1 hour run on a treadmill or outdside). >then a 1 mile run/walk on the treadmill. >20 minutes in the steam room. And my lift days are the same as above except that I lift. This has SO! worked for me it isn;t even funny. Just make sure that your putting the right foods in your body. Muscle Milk is another good product that helps repare your body after an intense workout. Good luck! Just to add to the lady that posted how bad the product was for bipolar victims. Well, I have bipolar2 and I am on Lithium carbs for my meds and I can still take Leanfire Inferno before my workouts without side effects. I guess that everyones body is different, so check with your doctor, thats what I would say and for pete sakes read the dang lables people, use common sense. Back in August of last summer one lady wrote a review complaining about the label not providing any type of warning for people who are bipolar. The label clearly reads: Consult your healthcare professional prior to use if you have or suspect a medical condition, are taking prescription drugs, or are pregnant or lactating. I understand that you may not have been bipolar at the time.. but why on earth are you taking this product if you only weigh 85lbs. 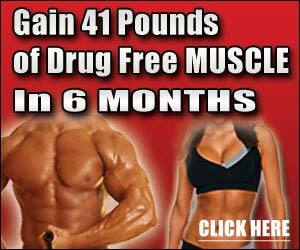 The ads also clearly indicate: Advanced Fat Loss And Energy Solution Helps Boost Metabolism! I myself have used the product and think it's great. It gives me the gitters.. but I'm not used to the amount of caffeine. I did consult with my doctor before trying it and was cleared to try it at a reduced dosage. I had been taking Trimspa for a couple of months before I decided to try this supplement, and I have to admit that this one is much better so far! I have noticed an increase in energy and loss of inches within less than one month. I exercize (walking on treadmill) almost every day for at least 45 minutes and eat healthy (no extreme diet here), and this supplement also helps to curb my appetite, esp at night. I feel that this is a pretty good fat burner with no jitters (I'm used to caffeine). I have noticed way better results with this supplement than when I was taking the Trimspa, in about half the time. I recommend it to anyone unless you're too sensitive to caffeine. I started working out about 6 months ago, weighing in at a little over 300 pounds. Honestly I thought it was going to be a joke, but I thought I would give rocky a chance. In 6 months with the LeanFire, weight training, a change of diet and NO Running I lost 56 pounds. I feel good all day and don’t have to depend on high sugar drinks to get me to the end of the day. Chemically, It might not have done anything but give me a boost of caffeine energy, but it’s made going to the gym much easier. I tried Leanfire from a sample pack and at first thought it was great stuff. I didn't need to take a full serving, as I am a small woman(85 pounds) so I took 1/2 capsule and mixed it in Gatorade and drank it during my workouts. It turns out that the herb Rhodiola, which is in Leanfire has antidepressant effects, an it is severly contraindicated for people with Bipolar disorder. I was newly diagnosed Bipolar after taking the Leanfire, and my illness was in a milder form. I just got out of the hospital due to a full blown manic episode which means I will now have to takr an anti-epilectic and an anti psychotic drug for the rest of my life to control the mania. The doctors feel the mania was induced by the Leanfire. So if you are Bipolar or are taking any type of antidepressant medication or opiates for pain, beware. This product can make you very sick. They should warn you of this on the label, but the only warning is for people sensitive to caffeine. I've started using LeanFire from a sample pack and loved it. It give you plenty of energy without feeling gittery. Also curbs your appetite. If anyone knows how to get in good shape and stay that way, it is Sylvester Stallone. The man is turning 60 next year and he is in better shape than most 25 year olds. I am 19 and I started using Lean Fire about 4 weeks ago and I have allready lost inches in my waist-line, not too menchion gained firmness and size in my muscles. Go get your own bottle of Lean Fire... this one is all mine BABY!!! So far, I think it is the best energy supplement I've tried. I haven't been using it long but I've been losing weight and keeping the hard earned muscle that is lost with some fat burners. I was prevously using hydroxy cut and Lean system 7, and even though you are recommended to take a max of 6-9 of those a day, my tolerence built up so that I was taking 15-20 w/o side effects. I took 6 leanfire the first day and felt as though I had over did it. I think that really says something about the potencey. However, one possible neg. side effect is that on the first day using leanfire, I developed an itchy, rash like spot near my left elbow and under my left arm. I can't say it is the leanfire that caused this, but it is a big coincidence if not. This is a great thermogenic. It burns fat very well and give you plenty of energy even when cutting calories. It's a little pricey but I think it's worth it if you need to drop some quick pounds.